Type and Characteristics: One of two Miami-class steam cutters (above, as built), built by Newport News Shipbuilding Company, Newport News, VA at cost of $250,000, 1,180 tons displacement, 190ft long x 32ft 6in beam x 14ft 1in draft, launched 10 February 1912, commissioned 23 May 1912, one triple-expansion steam engine originally fitted with a coal-fired boiler, 1,300 IHP, one propeller, maximum speed 12.5 knots. Cruising speed 7.9 knots, 4,200 mile range, armed with 2-6pdr rapid-fire guns, crew of 73 (1930). Rearmed in 1943 with 2-3in/50s, 2-20mm/80s and 2 depth charge tracks (1943), equipped by 1945 with SF-1, SA-2 detection radars and QCL-5 sonar. 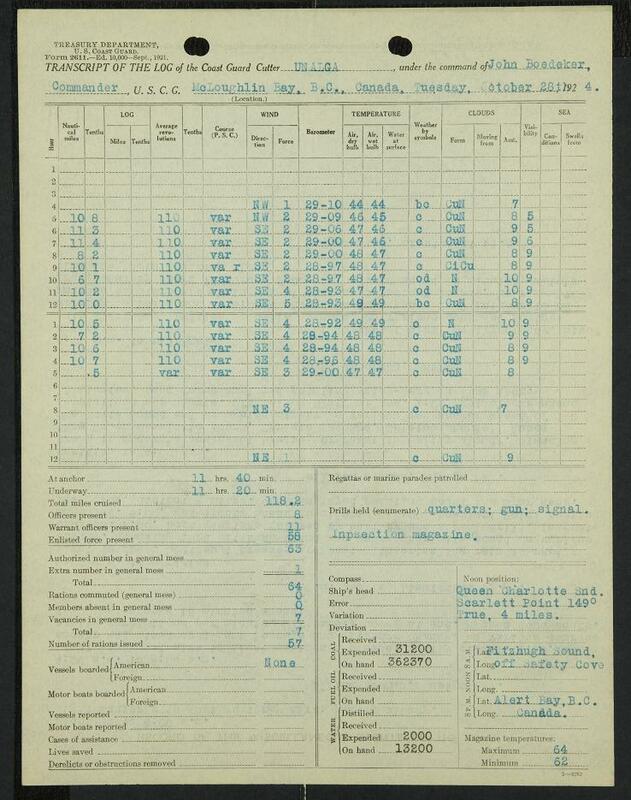 Log Period and Areas of Service: 1912-1945, Alaskan waters, Florida, Cuba and San Juan areas, World War 1 and 2 service. 1912 - Fitting out. Received guns at Washington DC (June), installed at Baltimore (July/August). 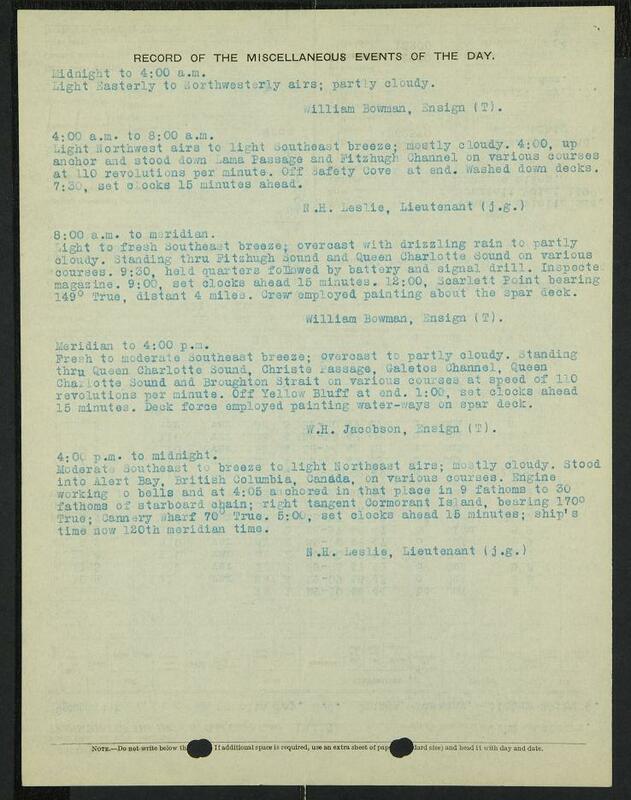 6 September 1912 - Ordered to report to Northern Division, Pacific Coast at Port Townsend, WA - the long way round - passing or calling at Gibraltar, Naples, Malta, Port Said, Aden, Ceylon, Singapore, Manila, Yokohama and Honolulu. Six weeks of this period was spent at Port Said ready to protect US interests during the 1912/13 Balkan Wars. 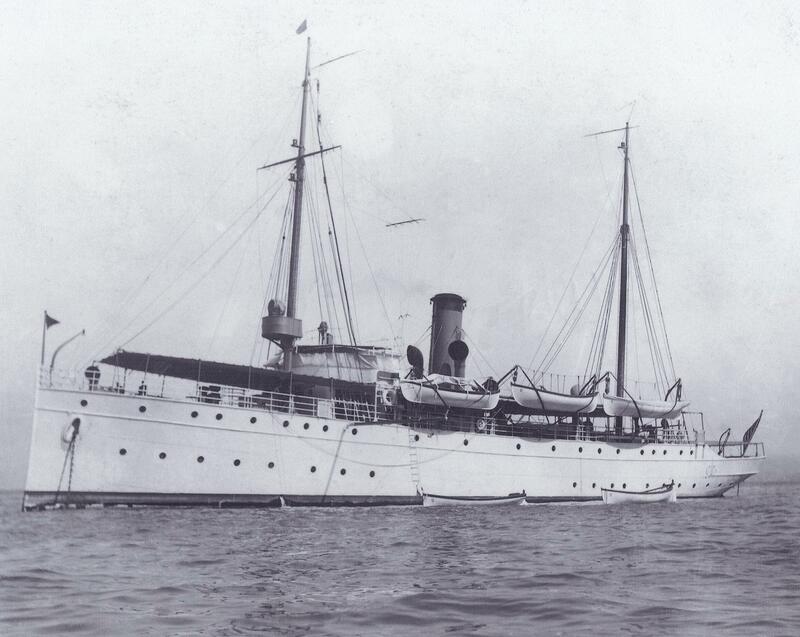 22 March 1913 - Arrived at Port Townsend; five days later, reassigned to Bering Sea Fleet. Departed for first Alaskan cruise on 3 May, visiting Kodiak and Unalaska. Returned to Port Townsend 11 August. Reassigned for service with Southern Division on 3 October and on the 21st, headed for San Francisco, arriving four days later. 25 March 1914 - Detached, spent 20 days of April at Oakland, CA under repair, before heading back to Alaska and Bering Sea duties. Next three years - Alternated between Northern Division and Bering Sea Fleet duties, including enforcement of American Neutrality Laws following outbreak of World War 1. 6 April 1917 - USA entered the War, Unalga served with US Navy and cruised to Alaska-Bering Sea area during the summer months of 1917, 1918 and 1919 - carried mail and supplies to fishermen and native Alaskans, provided medical aid and gave assistance to ships in distress. In 1918, she helped in the settlement of labour disputes in several canneries. 28 August 1919 - Treasury resumed control of USCG vessels. 1920's - Continued Northern Division and Bering Sea Fleet duties as before. End of Summer 1930 - Departed Port Townsend for East Coast. Arrived on 5 September 1930, probably at the depot at Arundel Cove, MD. 16 February 1931 - Decommissioned and two days later, moved to Philadelphia Navy Yard for major repairs. Returned to depot for more work on 27 June. 23 April 1932 - Recommissioned. Sailed 14 May for Port Everglades, FL, arrived 24th, and served out of there and Fort Lauderdale until 1934. September-November 1933 - Served with Navy on patrol in Florida Strait during series of revolts in Cuba, before resuming duty out of Port Everglades. 1935 - Transferred to San Juan, PR. 1 November 1941 - Transferred to the Navy, and classified as WPG-53. Early 1942 - Served with 10th Naval District, continued operating out of San Juan, conducted anti-submarine patrols. September 1943 - Transferred to Motor Torpedo Boat Squadron Training Squadron at Melville, RI. Served as target and torpedo recovery vessel. 7 June 1945 - assigned to 5th Naval district, serving in and around Norfolk, VA. Fate: 10 October 1945 - decommissioned and sold in 1946. 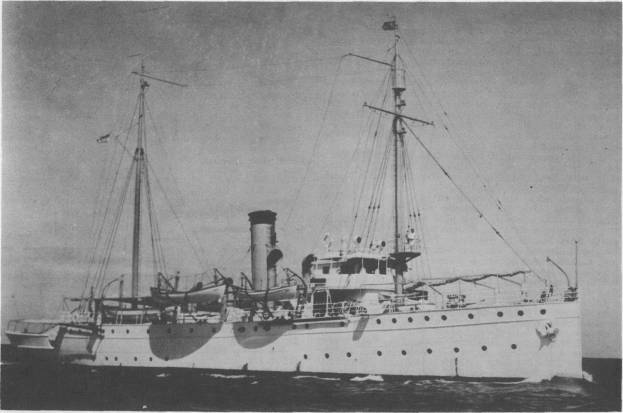 Renamed Ulua, she carried Jewish refugees to Palestine, running aground on 27 February 1947.